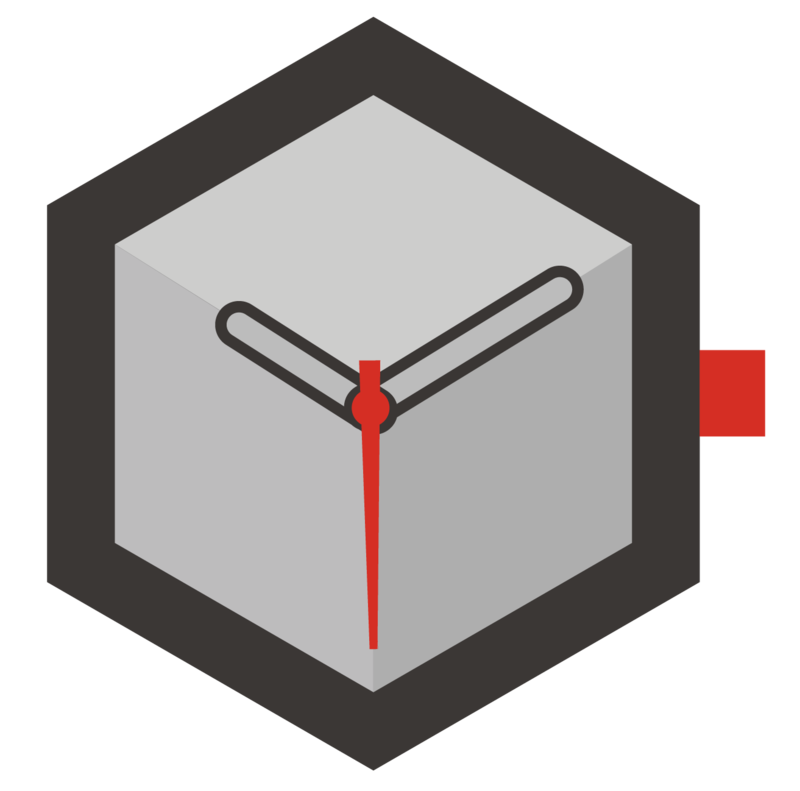 With the Fortress, Döttling is introducing a new era of security. 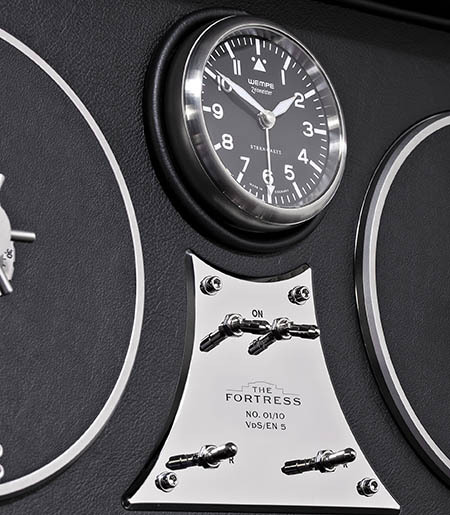 The Fortress is the safest luxury safe in the world, available in the certified security classes VdS/EN 3 to – and this is absolutely unique – VdS/ EN 5. It is ready for connection to a burglar alarm including a “silent alarm” function and, in this configuration, provides tested and certified insurance cover of up to US $1,000,000. 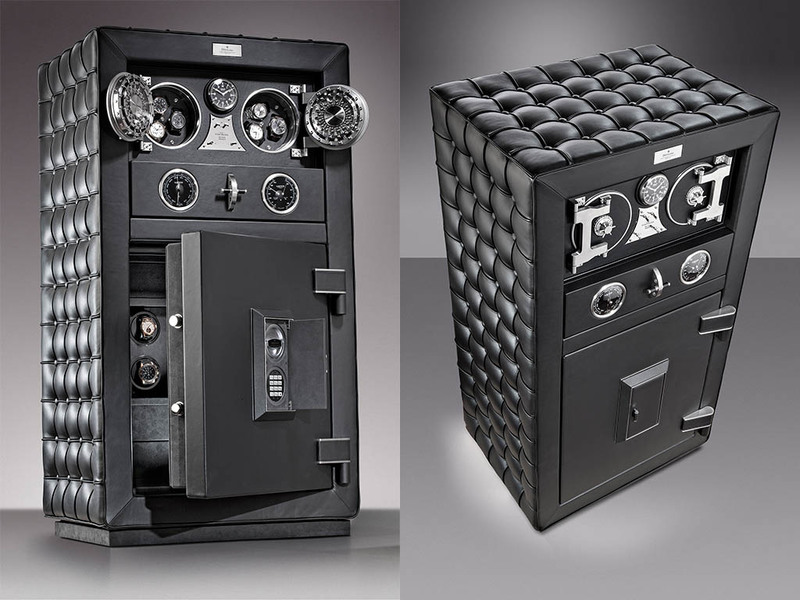 Döttling designed the interior of the high-security safe, of which only a limited edition of ten per security class exist, with the objective of “maximum versatility.” Among its features the Fortress includes eight watch winders. Using specially designed software, each watch winder is individually controlled. In addition to an infinitely adjustable number of rotations, it is also possible to set the direction of rotation – left, right, or oscillating. 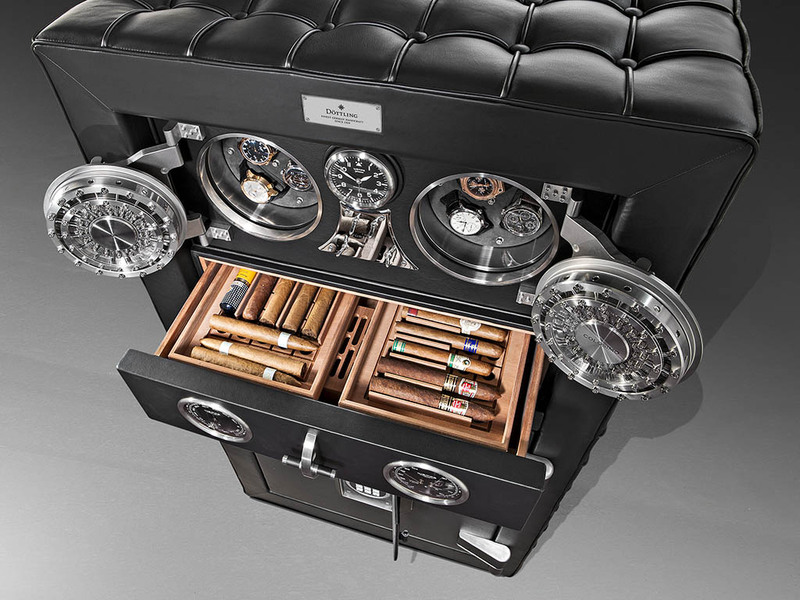 Inside the Fortress there is also a humidor made of original Spanish cedar, with an electronic humidifying system. A hygrometer and a barometer, both from Wempe, stylishly provide information about humidity and air pressure. Last but not least, the upper section of the Fortress integrates another product from our manufactory: a Colosimo two-door safe. It offers additional space for six watches that are wound with exceeding elegance by precision rotators. All of these intrinsic values require, of course, that the outer appearance of the Fortress live up to them. 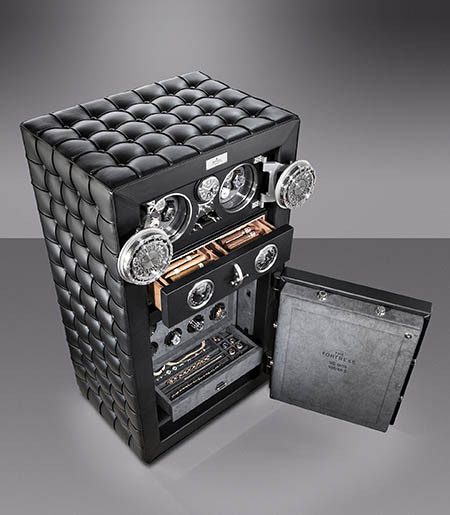 Therefore the corpus of the safe is handsomely upholstered with finest calfskin. And since individuality is a given at Döttling, the Fortress is also available in other configurations and color combinations upon request.